There is an Irish connection in my family. My maiden name has Irish roots while my mother’s maiden name originates from Mexico via Spain. My nieces, one of whom is named Erin, are of Irish and Mexican heritage and I have a cousin born on St.Patrick’s Day. (Okay, that last one was a stretch). Los San Patricios, led by John Riley, (Juan Reley was the name he enrolled in the Mexican Army) began with 175 immigrant Irish, German, English, French, and escaped African slaves from the southern USA and grew to over 700 men, the majority immigrants from Ireland. You can read more of their history in this 2014 post. San Patricio (St. Patrick). Villa Obregon (Alvaro Obregon -O’Brien- was the President of Mexico from 1920-24. Melaque, a version of the Irish word “Malarky.” There is no indigenous word called melaque. The Catholic faith is one of the strongest connections between the two countries. 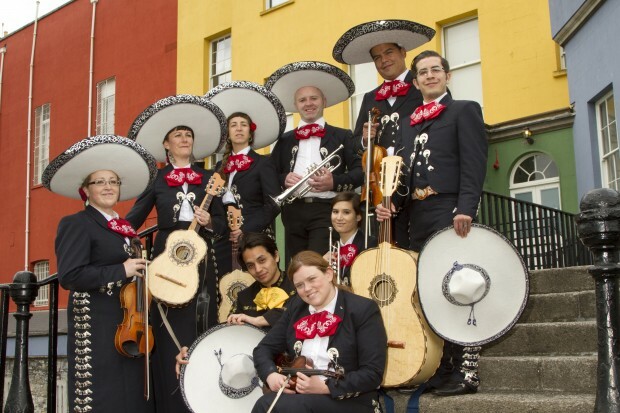 Ireland has a full Mariachi group, Mariachi San Patricio. Dublin also has an annual Taste of Mexico festival. Zorro, yes, the famous Mexican Robin Hood, was not a fable. Born William Lamport, he was the son of a wealthy Catholic family in Wexford County, Ireland. He used the name Guillen Lombardi but was not a Spaniard. He was an Irishman, educated by the Jesuits in Dublin. Juan O’Gorman, the artist, and architect, was born in Coyocan, Mexico to an Irish father and Mexican mother. He built the home and studios of artists Diego Rivera and Frida Kahlo. His brother, Edmundo, was an esteemed writer. Actors Anthony Quinn, Sara Ramirez, and several others are Mexican Irish. Add comedian and director, Louis C.K to the list. I’m sure there’s an Irish Mexican food connection, besides Jose Malone’s or Carlos O’Brien restaurants, but I’ve never heard of a specific dish. 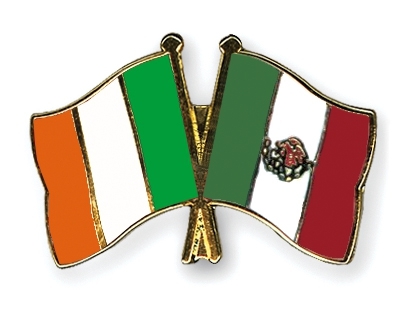 So, on St. Patrick’s Day, my family will enjoy our annual meal at an Irish (American) pub, maybe with a Harp Lager and celebrate our Irish Mexican connection.